The once-fictional Tru Blood beverage from the HBO hit series “True Blood” has come to life in bottle form this September. It’s a blood-orange carbonated drink concoction with a 3-V mixture of Vodka, Vicodin, and Viagra… to bring out the vampire in you! Actually I made up that 3-V mixture part, it’s just a premium priced slightly tart and sweet flavored drink. Much better tasting than the two-ounce bottle of “Gulf Water” priced for $9.99 at oilspillwater.com! 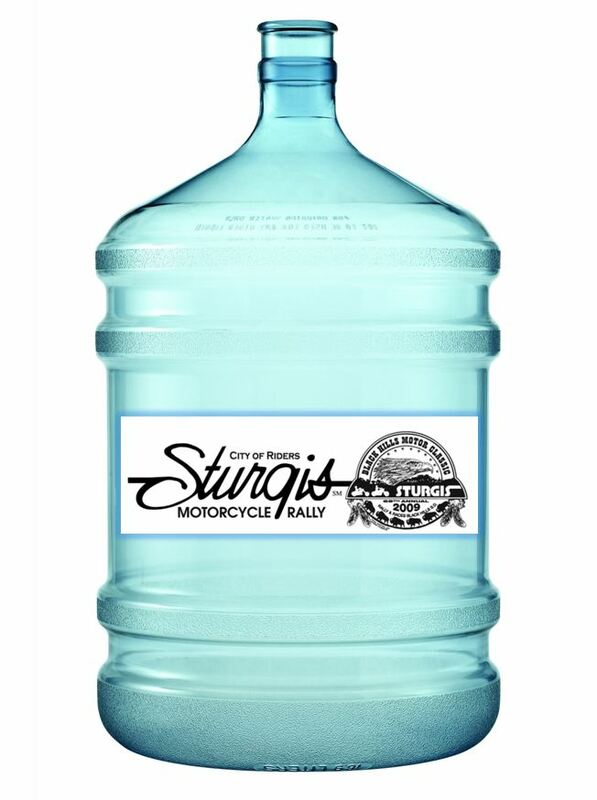 But, speaking of bottling up the motorcycle elixir of life, and drinking the water, long-time Sturgis rally veteran Tom Brandy had a dream to bring the Black Hills of South Dakota motorcycle rally to the rest of the world and now that will happen with the first event set in South Korea on September 17-21st. 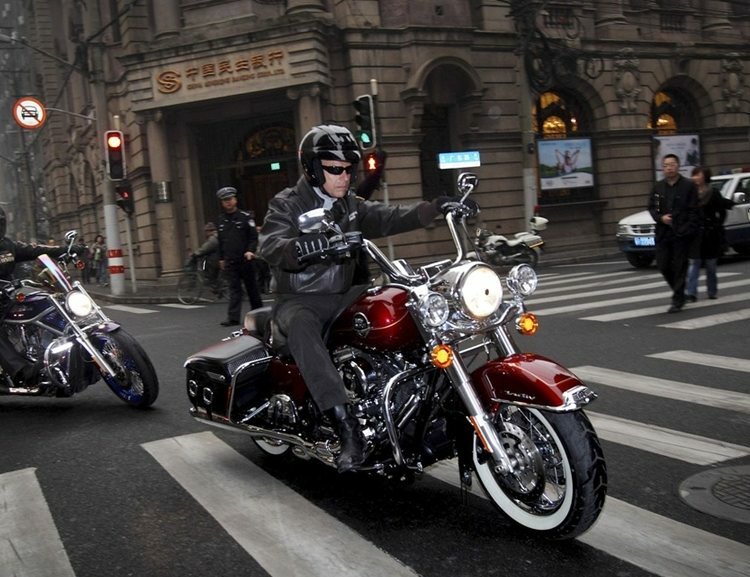 In addition to having the common “South” in the festival city name many of the motorcycle events will be similar to the long-standing rally in the U.S.
Mr. Brandy is catering heavily to locals (website is in Korean) and it’s anticipated there will be large groups of motorcyclists from China and Japan in attendance. There will be hill climbs, entertainment along with a broad set of custom bike builders (Ness, Perewitz, Trotta) in attendance. No word yet on who from Harley-Davidson will be in attendance and whether they plan to scout potential manufacturing plants? 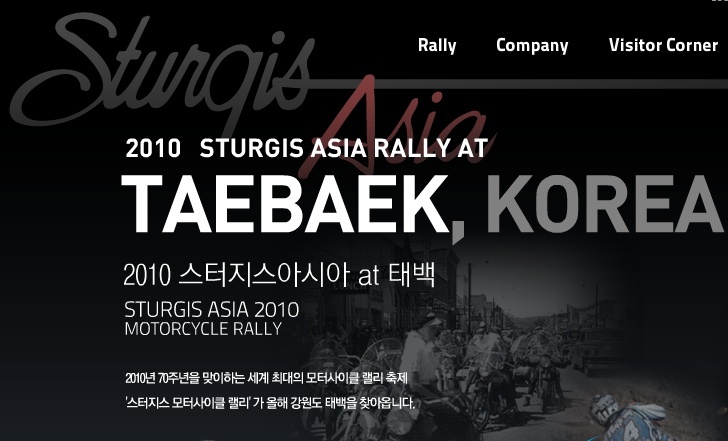 Wouldn’t it be something if Sturgis ASIA surpassed Sturgis U.S. in attendance records?! 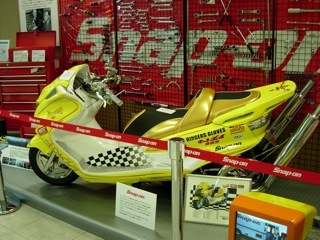 Japan is really the big custom motorcycle scene, however, when I was in Seoul, South Korea a few years ago they didn’t want anything to do with Japanese and likely explains why the event is not held in Tokyo. Water bottle photo created. Logo courtesy of The City Of Sturgis Rally Department and Sturgis ASIA web site.